SPC had board meetings last week. They approved the final settlements and those checks should be going out soon. Volumes were down which was not good, but the selling prices were higher than expected which helped in the final returns. I will give you a quick review of what I reported to the Board members last week. Prices have softened since late November. We were able to get sales for most of our chums. Those will be shipping out in April and May. We have a little inventory left composed of U/4# Semi’s and Pale Dark Chums. We are in pretty good shape compared to some of the other processors still holding inventory. In anticipation of a larger chum season this year we have been working on adding new customers to handle the volume. We have just a little inventory left and that is headed to making a few more loins and canned product. So essentially, we are out of inventory. Canada is holding a lot of South-Pacific stock which they purchased a year ago. They are dropping loin prices to move that inventory. That action will most likely result in conservative dock prices when the season starts. Our shore-frozen Coho inventory is essentially gone. We are holding a few pounds for program orders of fillets and portions. Those will be gone by new season. Our plan for new season fish is like last year. We are taking preseason fillet and portion orders in poundage only. Price will be set once the season begins. Europe is showing interest in h/g . Some of that interest will be weakened or strengthened with the result of the Bristol Bay run. We have a few FAS Coho pounds left but those should be gone by beginning of the new season. The frozen king salmon market has slowed down, and prices have weakened. Customers showed resistance to the higher prices and have backed off on their purchases. We have some inventory left. Sales prices for that inventory will be less than we sold earlier in the season. For the new season we will try and fillet as much as we can as that form seems to have a more receptive market. The California troll king salmon season begins in May. The pre-season news from California fisheries are reporting a good season. We will be trying to move as much fresh as possible out of our San Francisco station. If we need to, we will bring product up to Bellingham to fillet and freeze. Halibut season is in full swing. The main effort is to move as much product out onto the fresh market. In addition, we have taken some early fletch orders. Kurt has been working on some fresh adds with supermarkets in April. Fresh markets have softened a little as more volume is landed in Alaska. We are also working on setting up fresh shipments using the Coastal transportation. We hope to have news in this area soon. 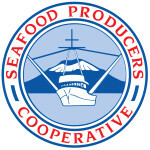 Black Cod deliveries have been heavy to the plant. Sizes are down from last year which was somewhat expected. We have taken some orders from Asian customers for u/5# fish. The Japanese market is still not active as they continue to try and sell their old inventories before buying new product. China has stepped up, but they won’t be taking product until later in the season as they are still working on selling 2018 inventories at a slower rate. That may change if the USA/China tariff problem is solved. In addition to Asian sales on the U/5# we have been working on getting more product into the domestic market in the form of fresh fish, fillets and portions. The 5/up market prices were down when the season started because customers were holding expensive inventory. I expect these markets to strengthen in the future. Last week in Sitka we also had a Ambassador meeting where we were able to introduce Kirk Hardcastle, our new sales rep in charge of the Ambassador program and institution sales. If you have more questions for Kirk he can be contacted at khardcastle@spcsales.com or 907-209-2209.